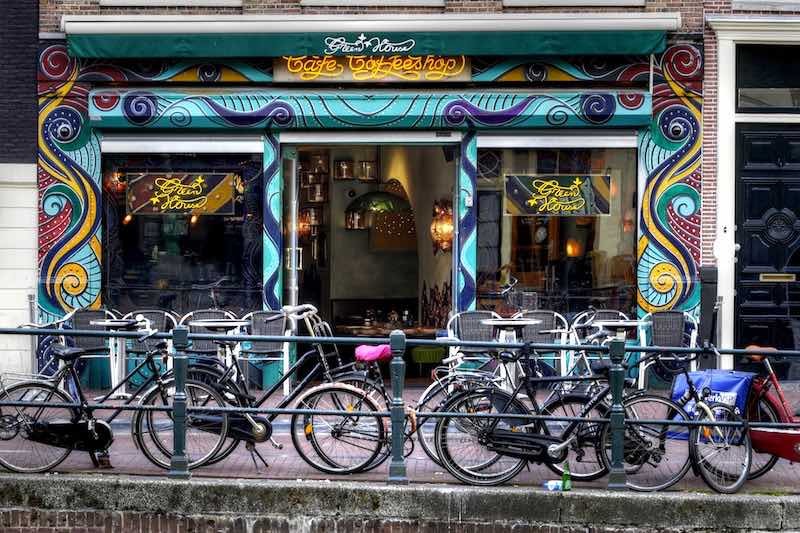 This best coffeeshops in Amsterdam ranking was constructed based on 224 votes from members of the Dam Jam – Amsterdam Coffeeshop Culture Facebook group and the Amsterdam Coffeeshop Directory Facebook group. The Facebook group Dam Jam has 14.401 members and is described as: “A page about Amsterdam, its coffeeshops and a cheeky bit of culture all rolled into one”. The other one currently counts 60.612 members and uses this description: “A place for members of the ACD forum and fans of ACD to come on Facebook to discuss current coffeeshop culture and share info”. Some of the members prefer to lounge whilst others only vote for the quality of the cannabis. 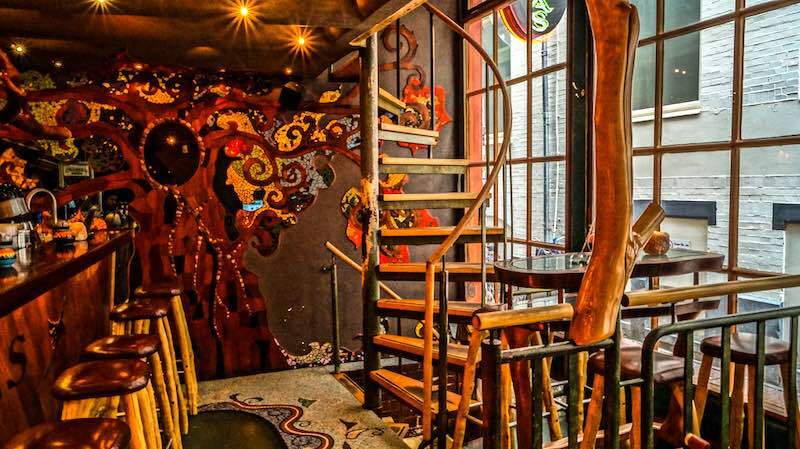 With this top 10 best coffeeshops in Amsterdam you can’t go wrong during your visit. Number one on our list with a total of 31 votes out of 224 is the Grey Area. This coffeeshop is regular cannabis-cup winner and the staff is really knowledgeable. 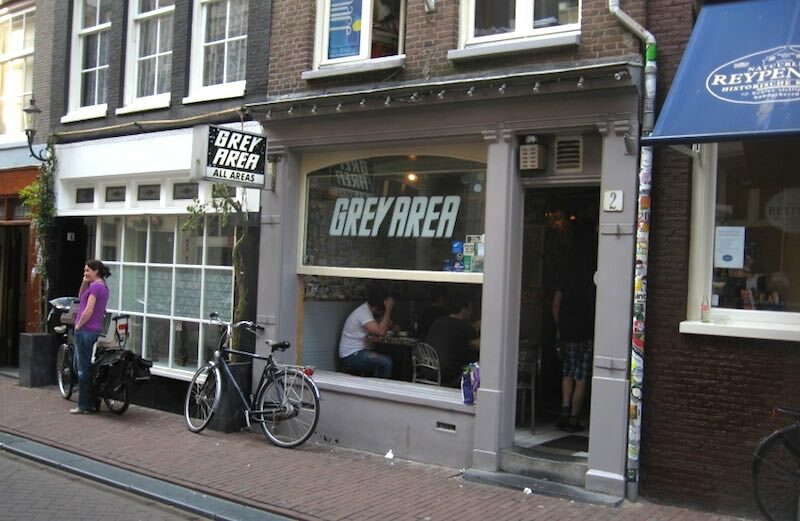 It’s named Grey Area because Dutch law on using cannabis isn’t exactly clear-cut. 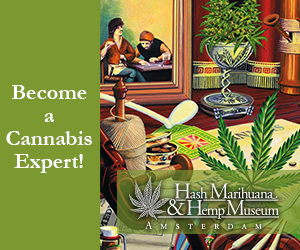 The shop is located in the center of Amsterdam and is world renowned for the quality of their weed. Most visitors go there to buy their cannabis but not to chill as the shop itself is quite small. Because of the central location and popularity it can get busy so expect to have wait in line. Find Grey Area on the map. This coffeeshop came in a close second with 28 votes out of 224. 1e Hulp is located at the outskirts of the city center making it relatively quiet. A really relaxed, very comfortable and cozy coffeeshop perfect for chilling. Oh, and the weed is great too! This isn’t the cheapest coffeeshop in Amsterdam but they serve some unique and excellent strains. The staff is also really friendly and will help you out with making your selection. This shop is well known for their moon rocks. 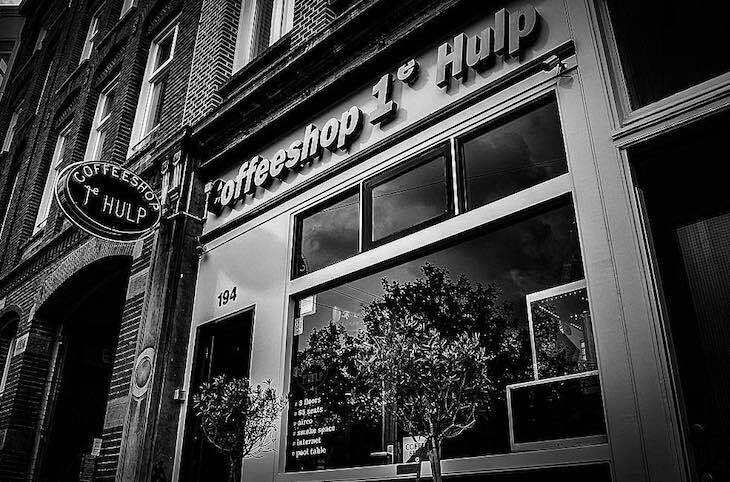 Find coffeeshop 1e Hulp on the map. This is a very modern coffeeshop with a touch of class. Boerejongens got a total of 20 votes out of 224. It’s very easy to reach due to it being located close to Rembrandt Square. The staff wear crisp white shirts combined with black bowties and white aprons. They are also very friendly and knowledgeable. Expect a great selection of strains and to wait in line as this is a really busy shop. You can sit and chill upstairs however most people just go here to get some of the best cannabis in town, and leave. Find Boerejongens on the map. Het Ballonnetje attracts a wide variety of guests, including tourists, musicians, artists and students. The staff here is friendly and they sell their top quality weed and hash for reasonable prices. Het Ballonnetje is located in Amsterdam Oost (east). Tip: get your supplies at het Ballonnetje and visit Artis Zoo located just around the corner. Find Het Ballonnetje on the map. Number five on our best coffeeshops in Amsterdam list is The Plug. 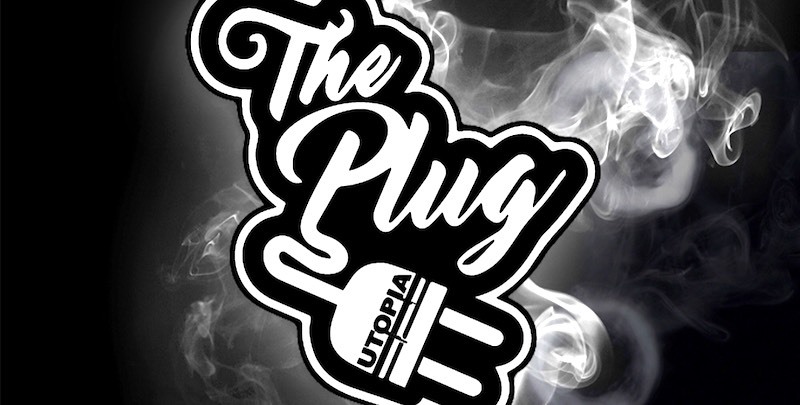 This place was formerly Coffeeshop Utopia but has merged with The Plug in Barcelona back in May 2018. This has greatly improved their original selection and menu. It is a small coffeeshop with the option to sit outside in the sunlight. The staff is friendly and patient. They also serve great coffee here. Come for the cannabis stay for the coffee ;). Find The Plug on the map. 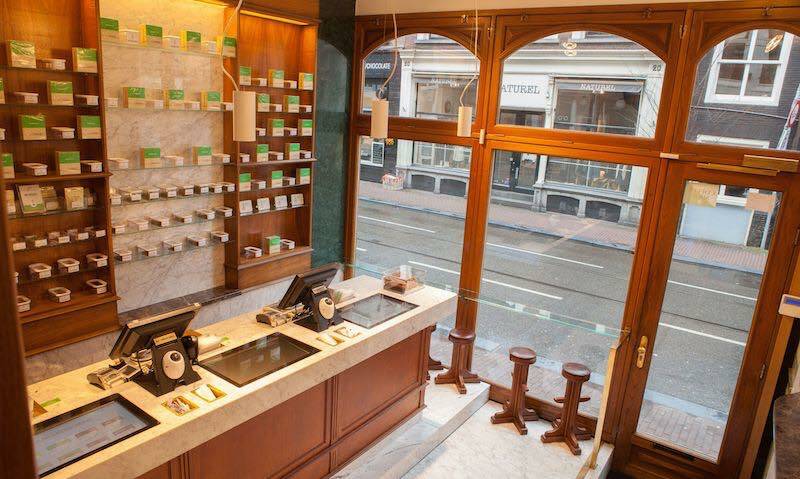 This is another shop on our list that is located at the outskirts of Amsterdam’s city center. 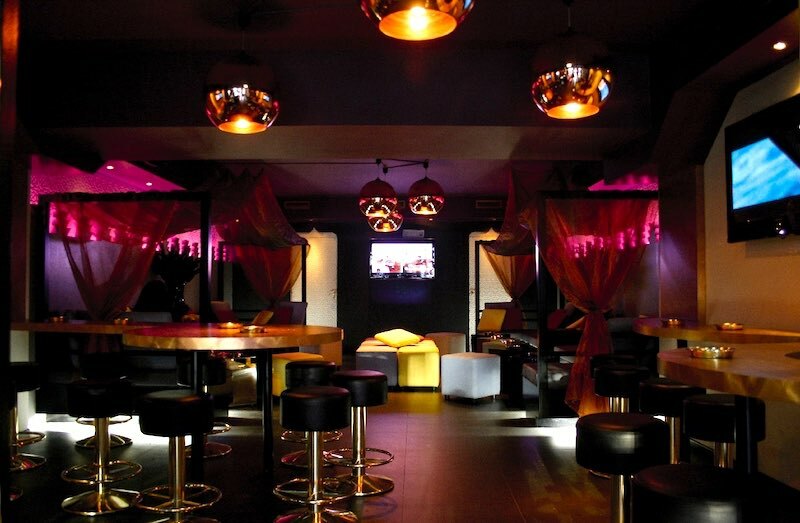 The Stud was established back in 1982 and serves a good mixture of local regulars and tourists. It’s a small shop so seating is limited. Expect the best herbs for a fair price served by friendly staff. Coffeeshop The Stud also has a few (“old dated”) computers that visitors may use. The shop is located close to the Amsterdam Muiderpoort train station, in the more eastern part of the city. At Cannabis Liberation Day 2018 The Stud was nominated for the best coffeeshop in Amsterdam! Find The Stud on the map. The atmosphere in Green House is completely unique. Green House has four separate locations spread out over Amsterdam. We’re talking about the Green House at the Oudezijs Voorburgwal located in the Red Light District. Great central location. All Green House coffeeshops have a high quality reputation and great quality products. One of those places where you can buy with your eyes closed. Find Green House on the map. 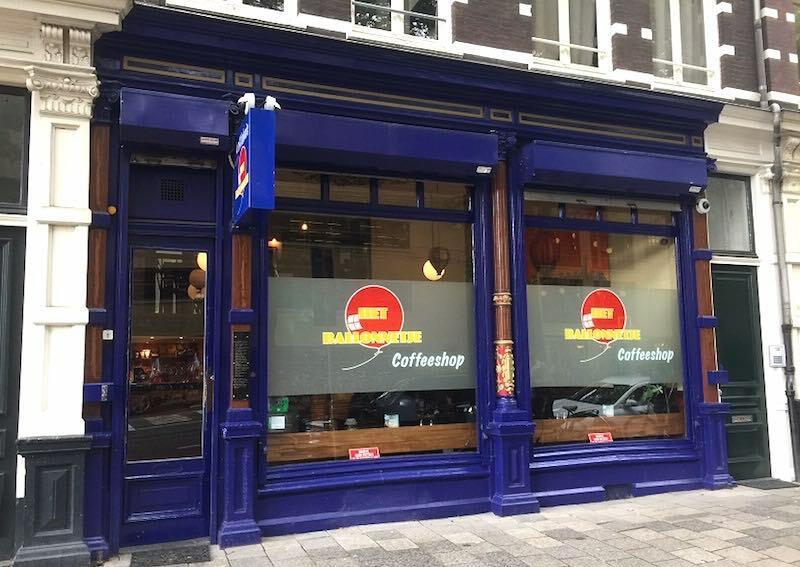 Located in the heart of Amsterdam close to Dam Square and the Royal Palace this is one of the oldest and the best-known coffeeshops in Amsterdam. The interieur is great and “mind expanding” by itself. The place is really hospitable and the serve a nice selection of high quality. Great shop for relaxing, nut just buying! Find Abraxas on the map. This is one of the more larger coffeeshops on our best coffeeshops in Amsterdam top 10. The vibe here is good and relaxing with plenty of comfortable seating for everyone. They also have some canal side tables outside for when the sun is shining. Besides serving up some great bud they also play quality music. Right next door are a McDonalds and Burger King for those who get the munchies. Find Easy Times on the map. This coffeeshop is actually a hotel and coffeeshop in one. 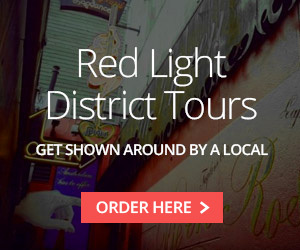 It is located at one of the entrances to the Red Light District from Amsterdam’s Central Station. This is a great place to start your adventure. The staff is really friendly and the weed and selection are really good. It is a small coffeeshop, surrounded by two canals, with limited seating so not ideal for long chill sessions, unless you also booked a hotel room there. Find Voyagers on the map below.